This mallet was designed for indoor use, but can be used outdoor as well. With a newly designed aluminum shaft and a head that is an ultra thin nylon disk, this new mallet provides excellent clarity, definition and fundamental pitch without being lost in the boomy overtones. 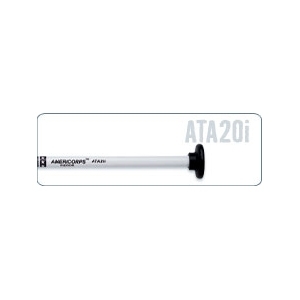 The ATA20i is 13 3/4 long and has a 1 1/2 Nylon head.